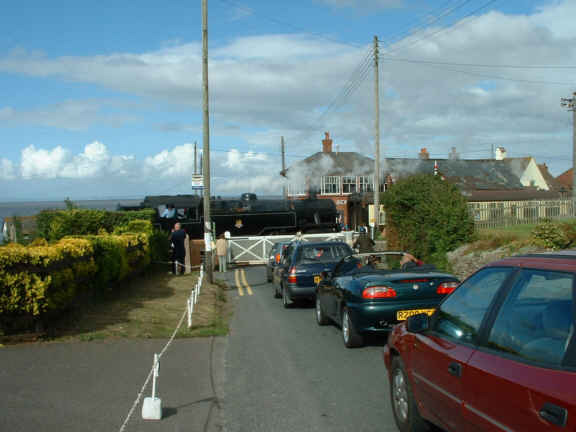 Blue Anchor is one of three crossing places on the single line, this page starts with a shot of the crew of a down train chatting while they are waiting for an up train to run in. 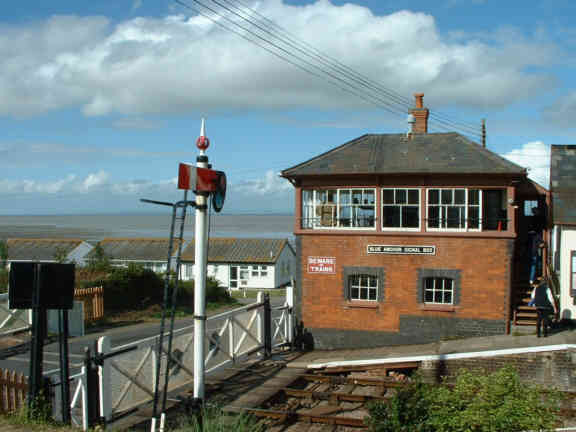 The station is very close to the sea as can be seen in this view of the signal box. 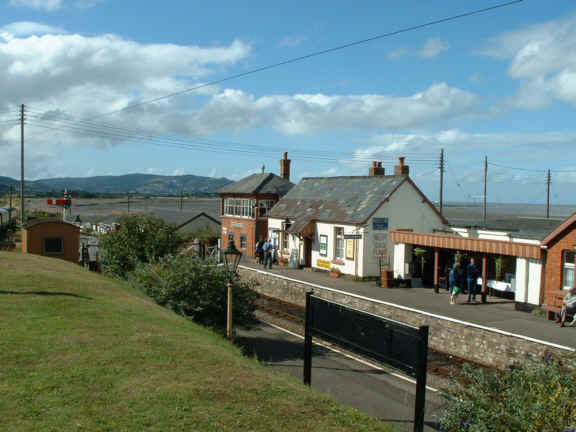 North Hill at Minehead can be seen here behind Blue Anchor signal box and station buildings. 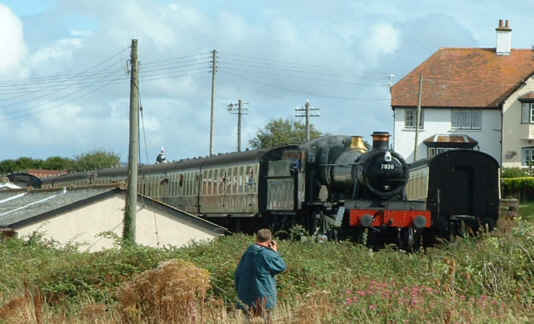 7820 Dinmore Manor leaves Blue Anchor for Minehead, on the right you can just see one of the camping coaches located here. Turning to follow her 7820 can be seen heading across Ker Moor with Conygar Tower visible on top of the hill above Dunster. 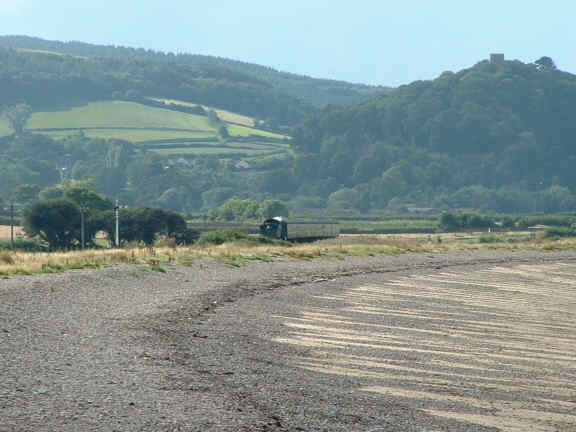 7820 returning from Minehead with an up train seen across Blue Anchor beach with the edge of Exmoor in the background. Looking the other way along the beach there is a road along the top of the sea wall, a café and plenty of places to park. 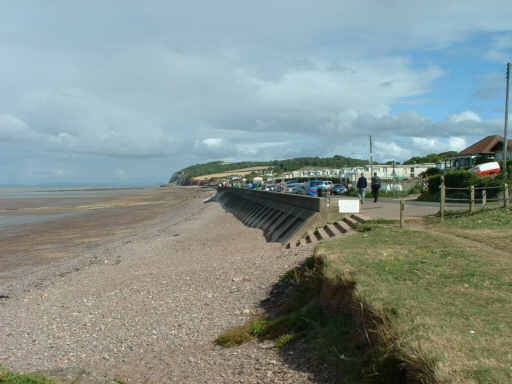 The beach is very popular with anglers when the tide is right. 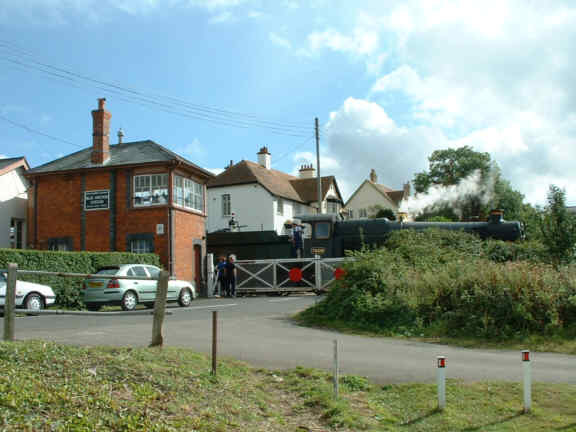 Another view of 7820 running into the station over the level crossing. 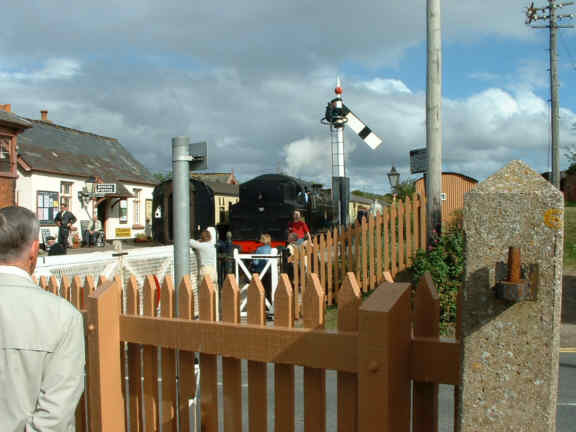 This is the last gated level crossing in the West of England, how times have changed! 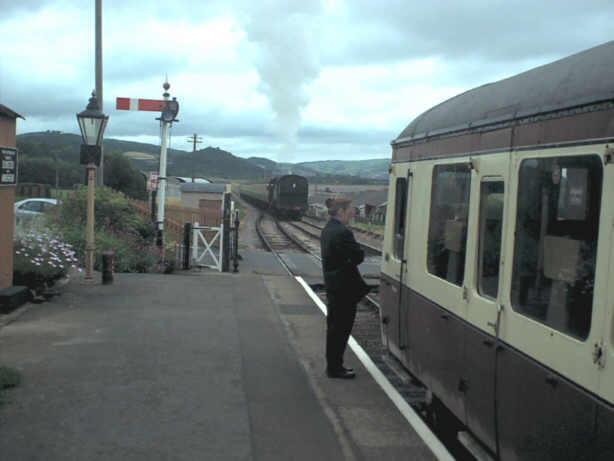 Standard tank 80136 was waiting to cross 7820 and is seen standing in the station having just got the road. 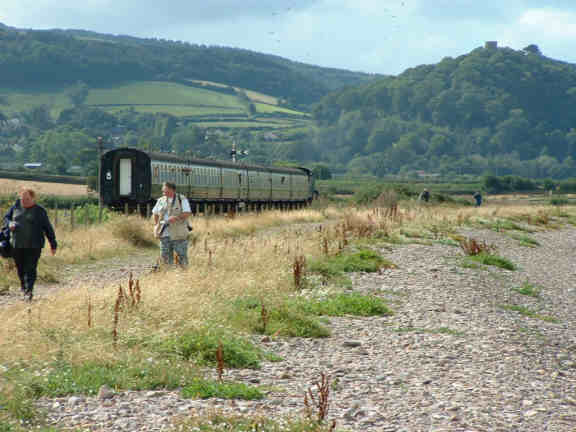 80136 then crossed the road with the Bristol Channel in the background. 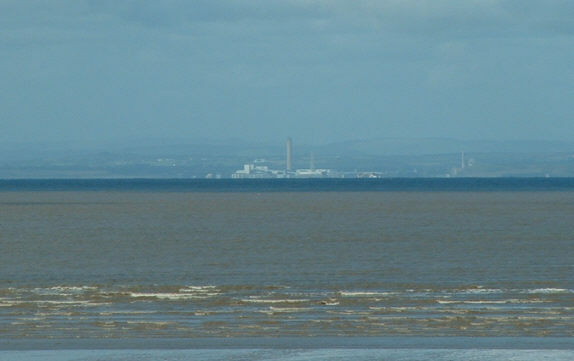 One of the most frequent questions I'm asked on the trains is whereabouts in Wales is it opposite us, this view answers that, it's the power station and cement works at Aberthaw, straight across from Blue Anchor. The sunset at Blue Anchor can be spectacular, click the thumbnail to see a page of photos of it one August evening.